Bella Union #1 | Historic Jacksonville, Inc. 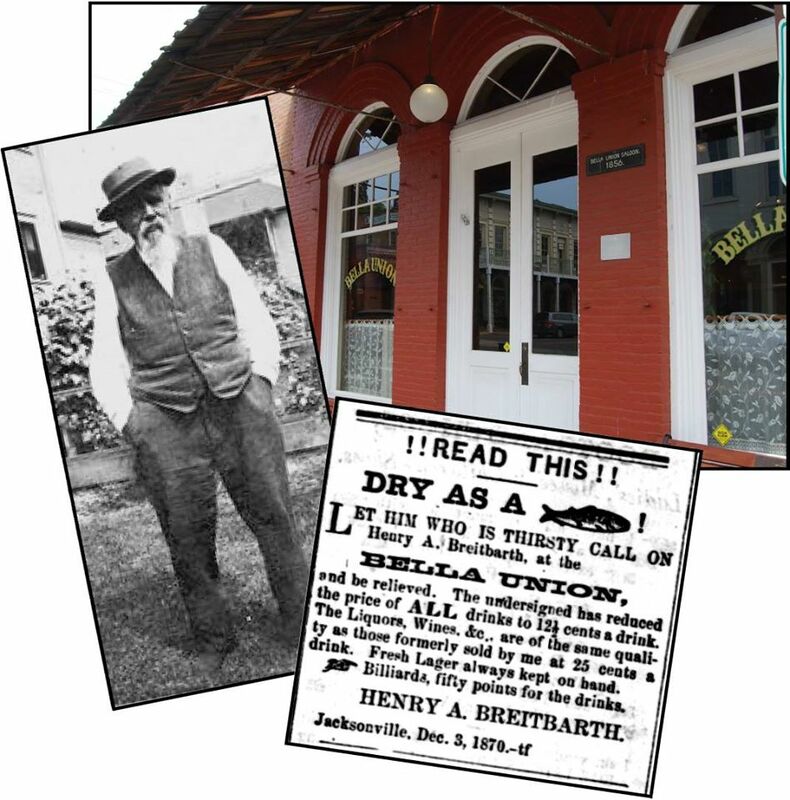 The oldest part of the Bella Union Restaurant and Saloon at 170 W. California Street was constructed in 1874 by pioneer woodworker and builder David Linn after the fire of 1874 destroyed many of the original buildings in Jacksonville. Linn had purchased the lot in 1856 and erected a one-story brick building to house his woodworking shop. After Linn relocated his business to the corner of California and Oregon, he rented the space to a series of tenants, including Prussian native Henry Breitbarth. Breitbarth operated the original Bella Union Saloon at this location from 1864 to 1871. It was one of 7 saloons in early Jacksonville and offered its customers billiards and liquors.